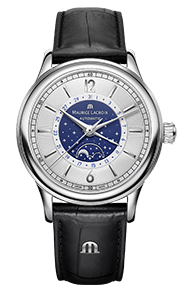 This website is operated by Maurice Lacroix. 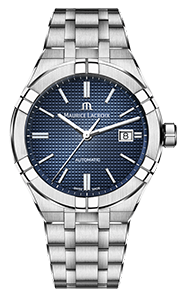 Throughout the site, the terms “we”, “us” and “our” refer to Maurice Lacroix Sales. 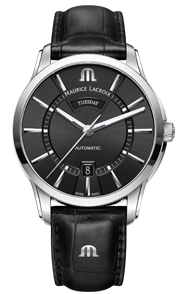 Maurice Lacroix offers this website, including all information, tools and services available from this site to you, the user, conditioned upon your acceptance of all terms, conditions, policies and notices stated here. In no case shall Maurice Lacroix Special Sales, our directors, officers, employees, affiliates, agents, contractors, interns, suppliers, service providers or licensors be liable for any injury, loss, claim, or any direct, indirect, incidental, punitive, special, or consequential damages of any kind, including, without limitation lost profits, lost revenue, lost savings, loss of data, replacement costs, or any similar damages, whether based in contract, tort (including negligence), strict liability or otherwise, arising from your use of any of the service or any products procured using the service, or for any other claim related in any way to your use of the service or any product, including, but not limited to, any errors or omissions in any content, or any loss or damage of any kind incurred as a result of the use of the service or any content (or product) posted, transmitted, or otherwise made available via the service, even if advised of their possibility. Because some states or jurisdictions do not allow the exclusion or the limitation of liability for consequential or incidental damages, in such states or jurisdictions, our liability shall be limited to the maximum extent permitted by law. You agree to indemnify, defend and hold harmless Maurice Lacroix Special Sales and our parent, subsidiaries, affiliates, partners, officers, directors, agents, contractors, licensors, service providers, subcontractors, suppliers, interns and employees, harmless from any claim or demand, including reasonable attorneys’ fees, made by any third-party due to or arising out of your breach of these Terms of Service or the documents they incorporate by reference, or your violation of any law or the rights of a third-party. These Terms of Service and any separate agreements whereby we provide you Services shall be governed by and construed in accordance with the laws of Rue des Rangiers 21 Saignelégier CH 2350. Your order will be shipped within 24 hours after your payment has been received on weekdays. If you place your order on Friday afternoon or during the weekend, your order will be treated on the following Monday. Maurice Lacroix ships in Switzerland. Deliveries are made in cooperation with the postal services and their partners. 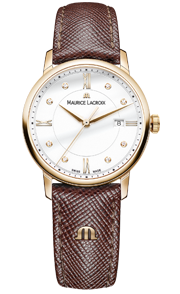 You have the right to cancel purchases and return delivered goods by contacting Maurice Lacroix’s customer service or write an email to salesorders@mauricelacroix.com within 30 days from receiving the goods, provided the goods are unpacked and in the same condition as when you received them. However, the customer is responsible for the risk for transporting the returned goods to Maurice Lacroix. In cases, you as a customer believe that the delivery is delayed in such a way that you no longer wish to fulfill the order, it is your responsibility to cancel the order. In cases where the order has been dispatched, the customer is required to receive the order. 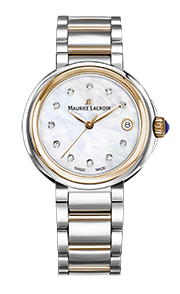 Cancellation is not valid until the customer has confirmed with Maurice Lacroix either by email or telephone. 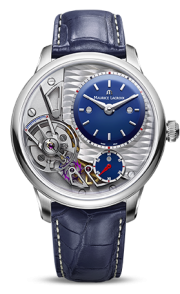 If a product has been discontinued Maurice Lacroix has the right to cancel the purchase and refund the paid amount to the customer. Questions about the Terms of Service should be sent to us at salesorders@mauricelacroix.com. You have the right to return any/all products you have purchased directly from our website within 14 days of receiving the item. Products purchased directly from our website must be returned to our warehouse for a return and full refund to be made; product(s) cannot be returned in a local retail store. Maurice Lacroix does not take responsibility for any items lost during the return shipping.